WealthHub introduces your back office to your front office – and ensures that everyone understands each other perfectly. Designed by trust officers for trust officers, WealthHub combines state-of-the-art CRM with trust-specific business process management to deliver a unique platform for trust and family office administration. A cloud-based platform that is fully secure and scalable. WealthHub creates an operating environment for trust administration that puts all your critical information in one place and provides customizable workflows and approval processes. Trust documents. Investment account and cash balances. Client information. Family relationships. Bank accounts and transactions. Key trust provisions. All at your fingertips for efficient management. There has to be a better way to manage trusts. Built on top of Salesforce, WealthHub makes available Salesforce’s state-of-the-art business development, sales, and marketing tools. Eliminate paper and PDFs for approval of annual reviews or new accounts. When a review is completed, WealthHub sends email notification to approver or committee with link back to underlying information. Rejections are delivered back to submitters along with requests for clarification or more information. 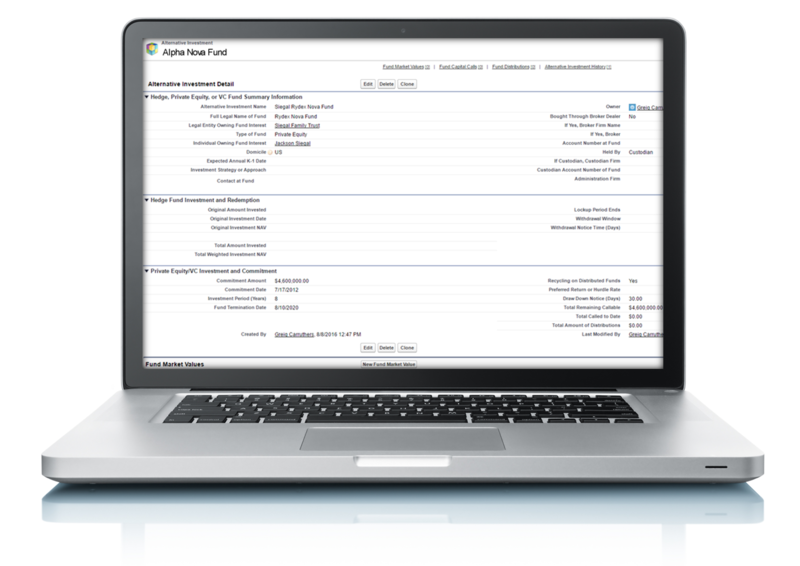 Approvals are recorded with records automatically locked down for future audit or review. No more stacks of paper waiting for committee meetings to review. WealthHub connects directly with your trust accounting system vendor to extract position, balance, and transaction information on a nightly basis. If you have accounts held away or don’t use a trust accounting system, no problem. We work with an industry-leading data aggregation partner to collect your data. Full historical information is maintained, allowing you to see cash balances, net worth, or transactions sliced by family, trust, manager, account—or however you would like. Think of this as CRM for Trusts. Key information on the trusts you administer is all available in one place. Trust type, domicile, tax status, key provisions, beneficiaries, trustees, protectors, and more. You can track nested ownership of LLCs, other trusts, or whatever asset the trust owns. Legal entity types managed include trusts, LLCs, corporations, partnerships, endowments, foundations, estates, IRAs, agency accounts, with information specific to each and reporting available on each entity or on a rollup basis. All your trust documents are always available within WealthHub. You can search, print, or send them, even share them with your clients, without leaving the WealthHub platform. Presented on a cost-effective basis in the cloud via Box. WealthHub is unique. There is no other platform like it for organizing and administering trusts or family offices. WealthHub automatically keeps track of progress as new accounts are onboarded, recording dates and approvals for items like KYC, investment review, document review, successor trustee risk evaluation, custodian account opening, funding and more. Management reporting gives insight into exactly how long each step is taking, where bottlenecks occur, and how individual staff are keeping up. You can implement eSignature using DocuSign through WealthHub so that LOAs, distribution approvals, or any other document can be legally signed conveniently and quickly online. Reviewers are walked step by step through reviews so that no items are missed, all reviews are done on a consistent compliant basis, and records of reviews are always available for auditors or regulators. Reviews requiring approvals by managers or committees go through our automated approval process. You can use our templated investment, document, KYC, successor trustee, account opening, or account acceptance reviews or use your own. Ticklers can be set up on a one-time or recurring basis. Or WealthHub will remind you if a payment is about to be due, tax returns are due, or a review is overdue. Tasks can be assigned or tracked. And all this information, including emails, moves smoothly back and forth between WealthHub and Outlook or other email client. We’d be happy to show you how you can quickly grow revenues per trust officer using WealthHub. Making distributions just got a lot easier. Set up either one-time or recurring distributions. See cash balances and trust distribution provisions. Get approvals via automated process instead of waiting for a committee meeting. Send LOAs to managers to disburse funds using automated templates and e-signature. Hedge and private equity fund investments are a key aspect of high net worth investment management. So why keep treating them as memo fields in your accounting system? WealthHub allows you to track and report on current and historical market values, contributions, distributions and commitments for funds. Do trust assets under your fiduciary care include real estate, boats, planes, jewelry, art or other collections? No problem, WealthHub can help you manage them by organizing key property information (specific to each asset type) and documents, keeping track of service providers, and reminding you of payments for property taxes, HOA dues, insurance, FBO or marina fees and more. WealthHub can integrate with accounting packages like QuickBooks, Sage, or Dynamics Great Plains if you do not use a trust accounting system. If you are paying bills for client, you can enter and manage bills and get them approved by clients. And coming shortly, you will be able to pay bills electronically through WealthHub. Our technology, guidelines, and practices assure the protection of your data. WealthHub conforms fully with the NIST Regulatory Framework and all other existing financial institution cybersecurity protocols to ensure the confidentiality, integrity, and availability of personally identifiable information and sensitive account and entity data. Data on our platform is housed in redundant third-party facilities on an encrypted basis using the most secure infrastructure available with the only provider certified for use by the US Intelligence Community. TrustHub is delivered to our clients through Salesforce on a platform that has passed Salesforce’s stringent security reviews and uses completely reliable load balanced networks to ensure constant availability. To manage internal security, clients have the ability to choose from numerous no-cost configuration options affording even greater protection such as network address restriction, geo-IP based login restrictions, multi-factor authentication, and rule- and role-based security controls. 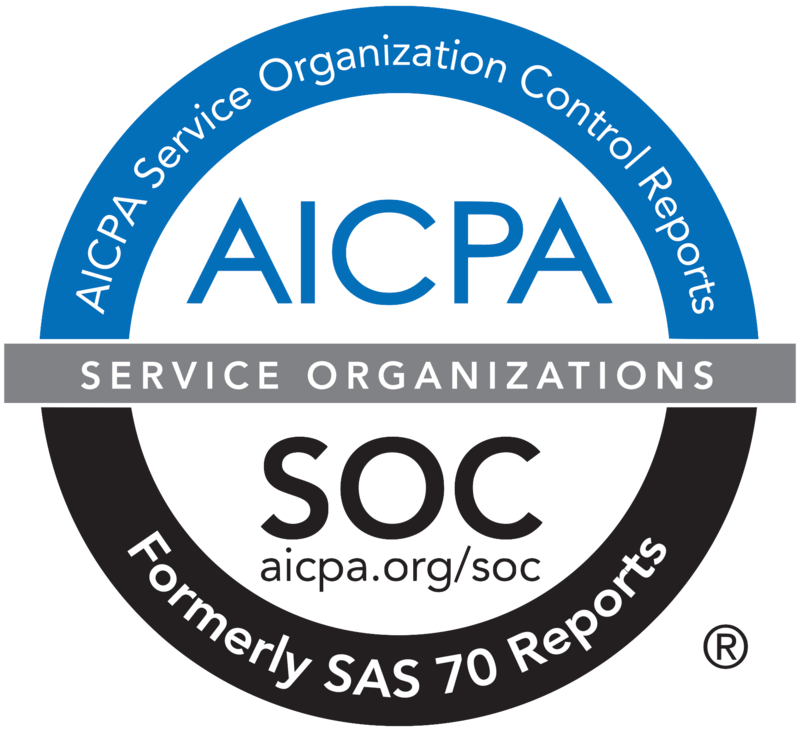 WealthHub’s cybersecurity technology, infrastructure, processes, and guidelines have been certified secure through a SOC-2 review and audit and our SOC-2 annual audit results are available to clients upon request.